Durrës is the second largest city of Albania located on the central Albanian coast, about 33 km (21 mi) west of the capital Tirana. 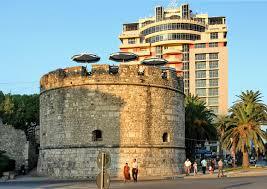 It is one of the most ancient and economically significant cities of Albania. 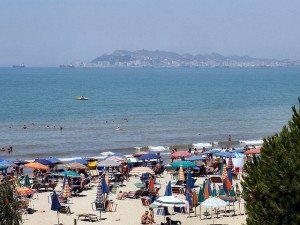 Durrës is situated at one of the narrower points of the Adriatic Sea, opposite the Italian ports of Bari (300 km or 186 mi away) and Brindisi (200 km or 124 mi away). 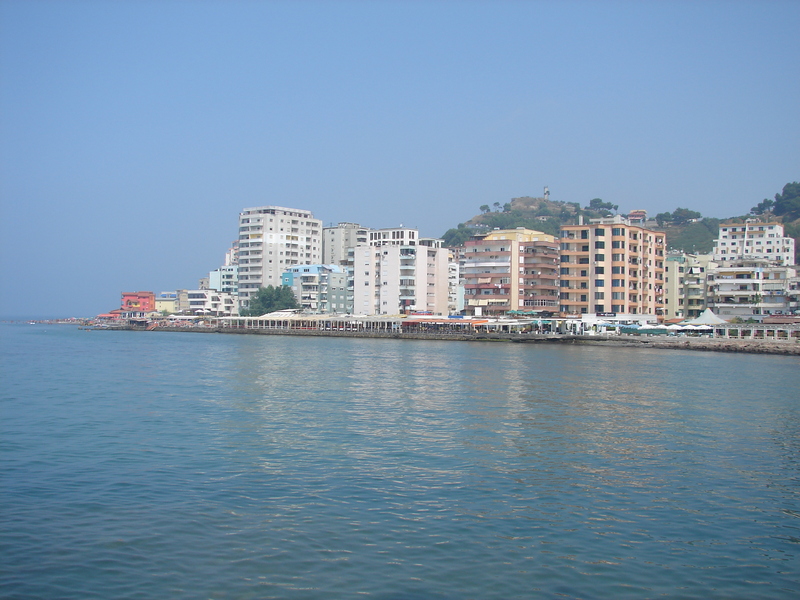 Durrës is home to Albania’s main port, the Port of Durrës, and to the newest public university, the Aleksandër Moisiu University. It has a population of 115,550, while the metropolitan area has a population of 265,330. Moreover, it is the meeting point of national roads SH2 and SH4. 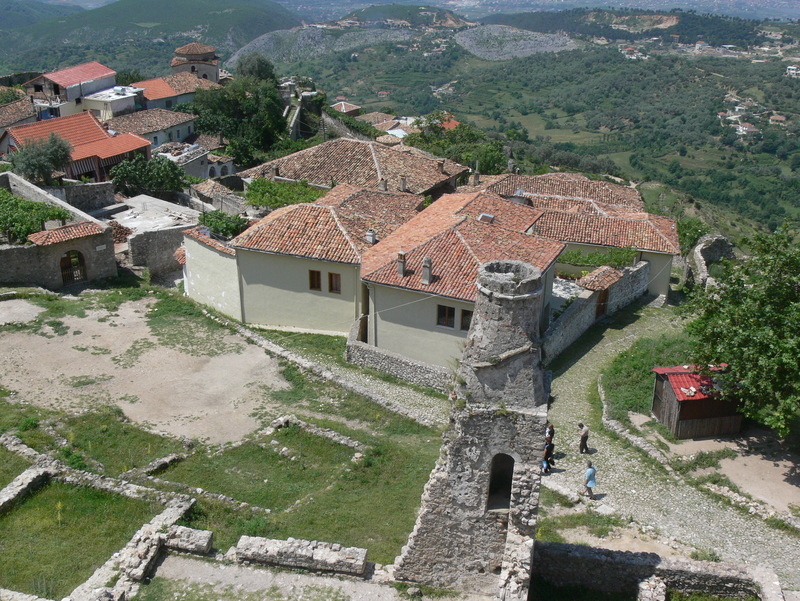 Durresi was founded in the 7th century BC by Greek colonists from Corinth and Corcyra under the name Epidamnos, it has been continuously inhabited for 2,700 years and is one of the oldest cities in Albania. Durrës is an important link to Western Europe due to its port and its proximity to the Italian port cities, notably Bari, to which daily ferries run. As well as the dockyard, it also possesses an important shipyard and manufacturing industries, notably producing leather, plastic and tobacco products. The southern coastal stretch is renowned for its traditional mass beach tourism having experienced uncontrolled urban development. The city’s beaches are also a popular destination for many foreign and local tourists, with an estimated 800,000 tourists visiting annually. 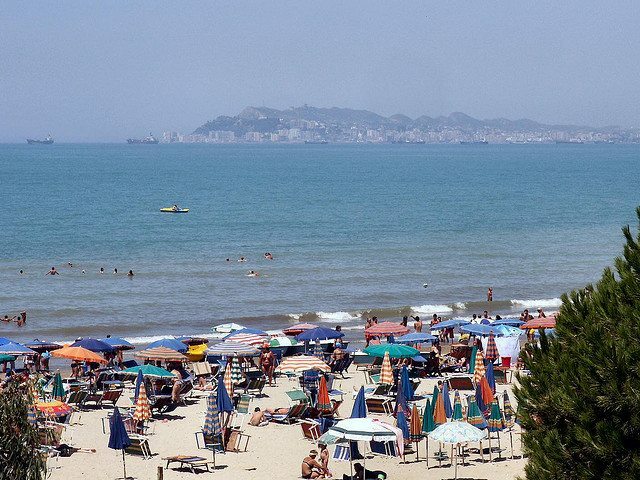 Many Albanians from Tirana and elsewhere spend their summer vacations on the beaches of Durrës. In contrast, the northern coastal stretch is mostly unspoiled and set to become an elite tourism destination as a number of beach resorts are being built since 2009. Neighboring districts are known for the production of good wine and a variety of foodstuffs. The port has experienced major upgrades in recent years culminating with the opening of the new terminal in July 2012. 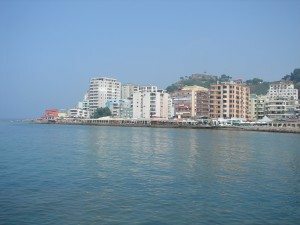 In 2012, The Globe and Mail ranked Durrës at no. 1 among 8 exciting new cruise ports to explore. Some important buildings in Durrës include the main library, the cultural center with the Aleksandër Moisiu Theatre, the Estrada Theater, the puppet theater, and the philharmonic orchestra. There are also several museums such as the Durrës Archaeological Museum, Royal Villa of Durrës and the Museum of History (the house of Aleksandër Moisiu). 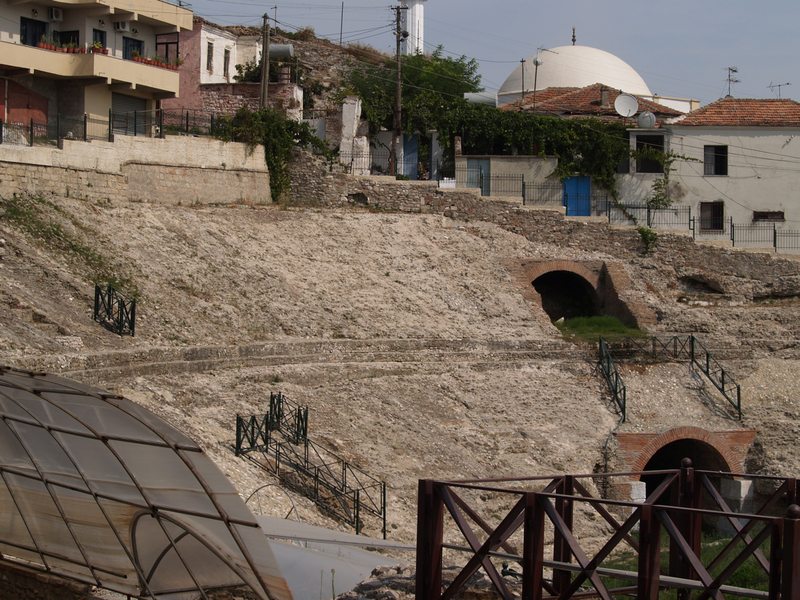 The city hosts the Durrës Ancient City Wall called also Durrës Castle while the largest amphitheatre in the Balkans is located in the city close to the harbour. This first-century construction is currently under consideration for inscription as a UNESCO World Heritage site. 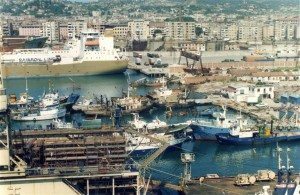 Durres has a large marina dock where many ships arrive from Italy and dozens of miles beaches waiting for you. These broad white beaches are all free and open onto a sea, where you can rent an umbrella and chairs for a few dollars/euro a day. The amphitheater of Durres is one of the oldest regions of the Balkan and which was erected in the second century. 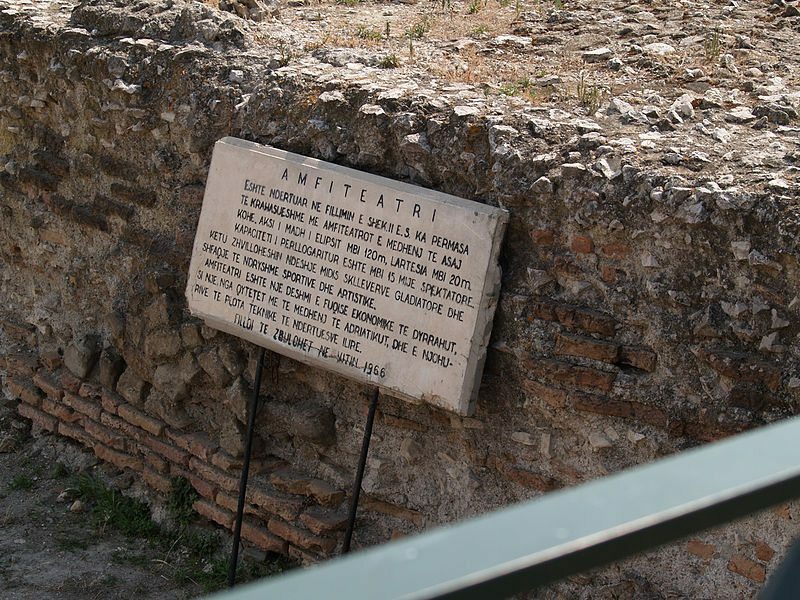 This amphitheater shows signs of early Christian culture with crypts and Christian mosaics of rare origin. The history of Albania is preserved in the museum of history and the archaeological museum where the entrance is very cheap and for the students the price is very low. Another place to visit is a symbol of Durres stronghold, which is situated on the hill of the old town where you can admire a beautiful view over the port and the surrounding beaches. 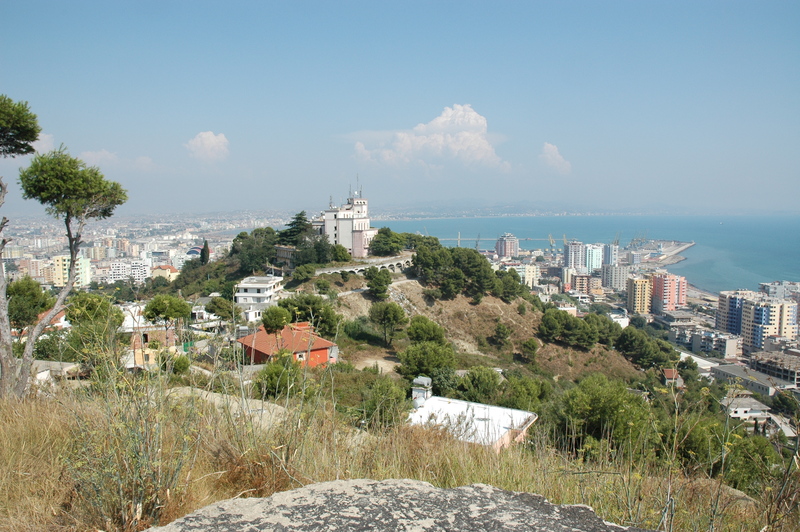 Durres is also famous for the baths of the ancient origins which attract many visitors during the summer months. 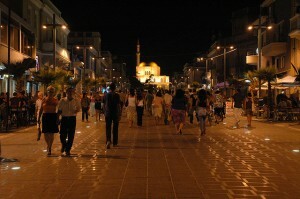 Durres is a beautiful city to visit in the evening in the many cafes which are located in the stronghold. Krujë is a town in north central Albania and the capital of the municipality and the Krujë District. It has a population of about 15,900. Located between Mount Krujë and the Ishëm River, the city is only 20 km from the capital of Albania, Tirana. 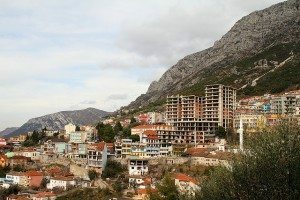 What is the Best Place to Invest in Real Estate in Albania?